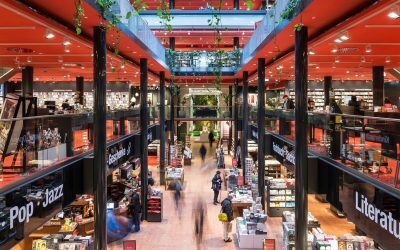 When a group of young tourists visit Berlin to have a great time, chosing a hostel as accommodation is usually a great choice. 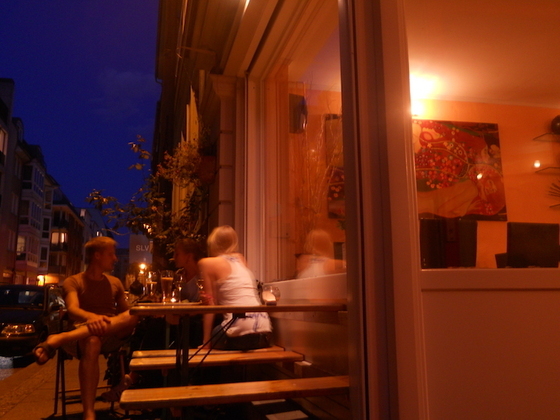 Hostels in Berlin are very cheap and there are not many places where it is so easy to meet other travellers. In Berlin-Mitte there is a location where affordable dorms and a great bar are combined, the place is called St. Christopher’s Inn Hostel. 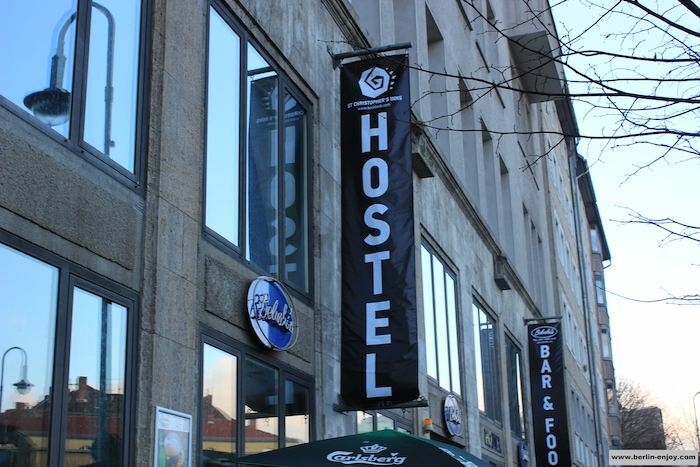 The St. Christophers Inn Hostel can be found on the Rosa-Luxemburg-Strasse in Berlin-Mitte. From the outside it is mainly the Belushi’s Bar which you see but starting from the first floor you will find some rooms to sleep in as well. Because this award-winning hostel is located directly at the U-Bahn station Rosa-Luxemburg Strasse, it will only take you about 5 minutes to reach Alexanderplatz. 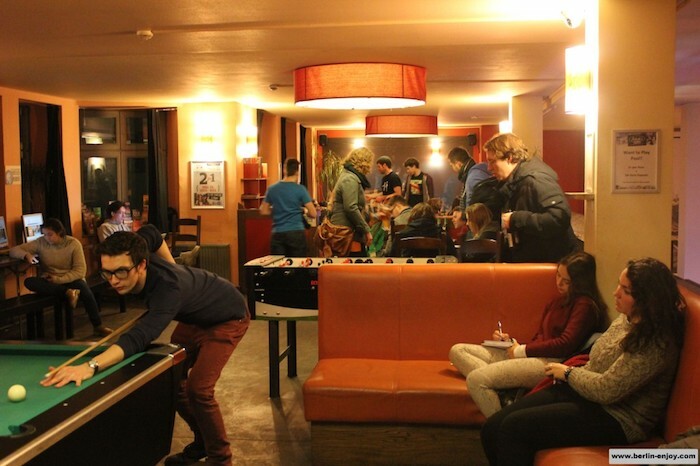 Furthermore the hostel/bar has a billiard-table on the first floor for entertainment. The St. Christophers Inn Hostel has place for 160 people and you can choose between a dorm or a small apartment for up to 4 people. The prices of the beds start at 12 euro. The small appartments with a private kitchen and shower will cost you about 50 euro a night. 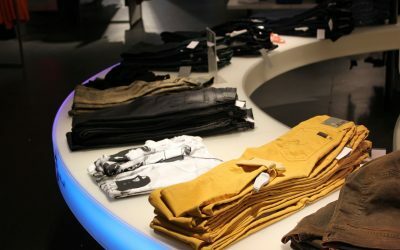 Obviously the prices depend largely on the time of the year: The peak periods are during the summer and around Christmas. 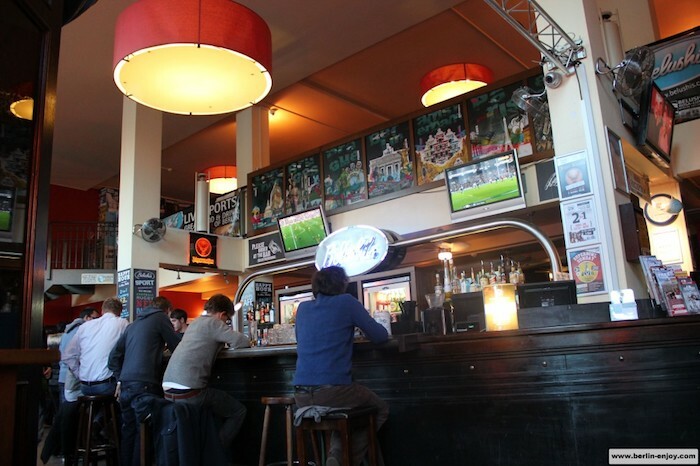 Besides free benefits like free breakfast, wifi and self-organized walking-tours the biggest selling-point of this hostel is probably that it is located directly above the Belushi’s bar. Even for habitants of Berlin the Belushi’s bar is a great place to visit for a beer and some backpacker-meals. 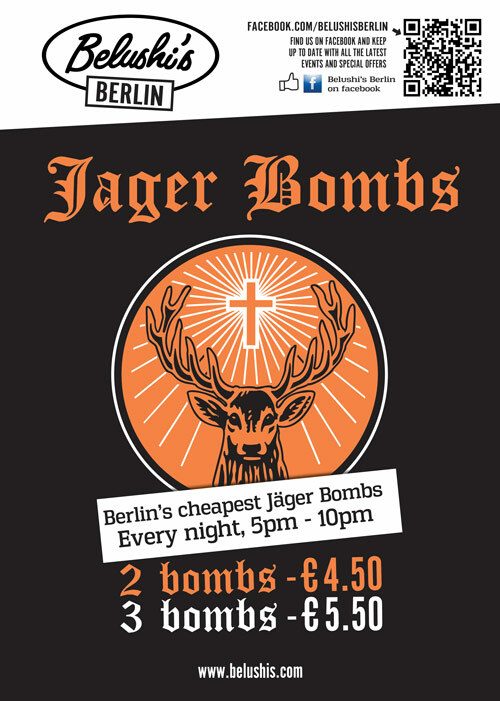 As mentioned above, the bar is located directly under the St. Christophers Inn Hostel. This defenitly has a positive influence on the visitors of this bar: the atmosphere remembers me of a real backpackers-bar in Australia. 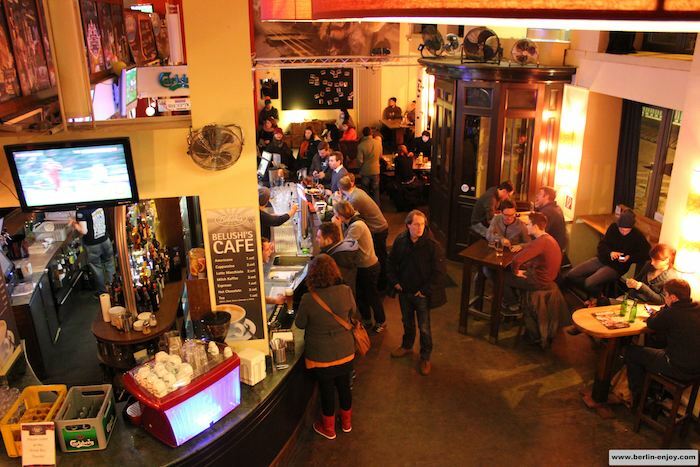 Besides the good atmosphere you can find live-artists on a regular basis and the drinks are very affordable. 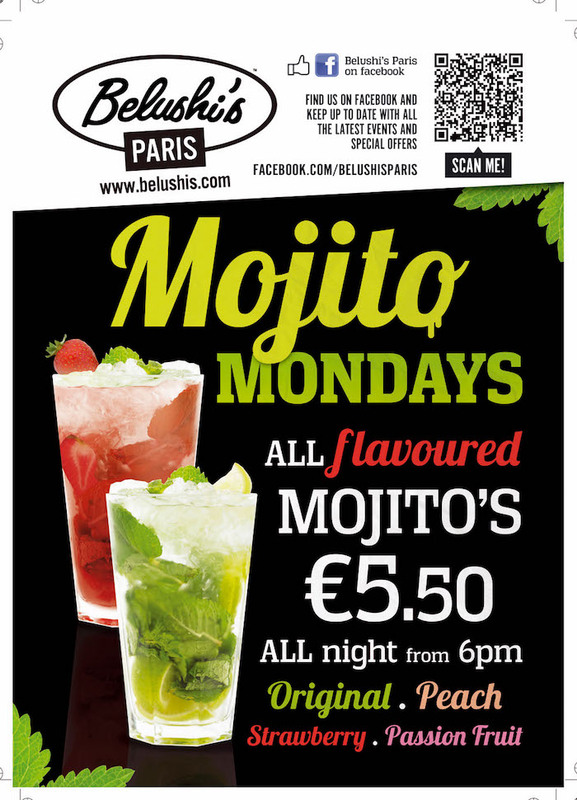 It would be a shame to visit the Belushi’s bar and not take advantage of the great discounts. 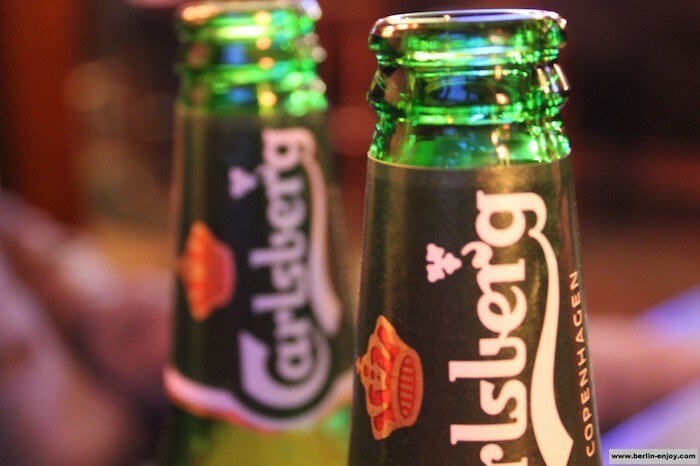 Like a real backpacker-bar, there are daily Happy-Hours, free shots and many other discounts. Besides drinking you can also eat one of the hamburgers. For 6 euro you can buy a large burger with some salad and crispy fries. 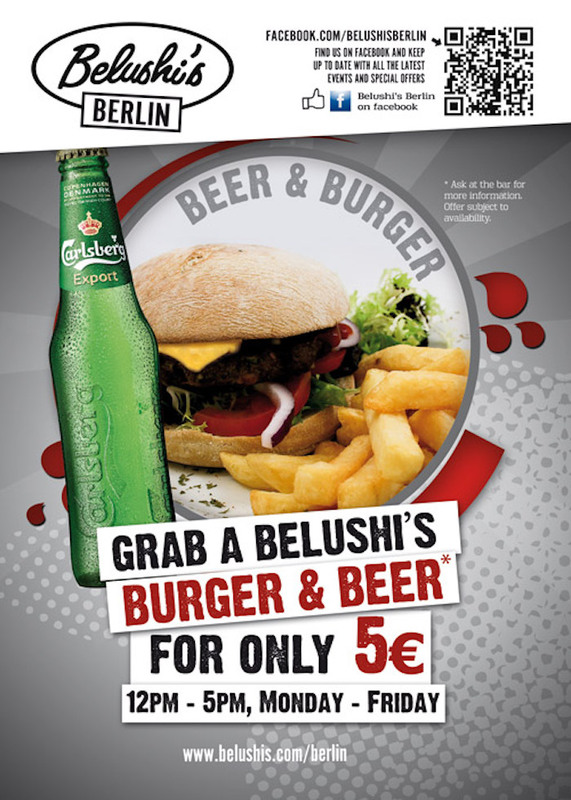 Enjoy a nice Carlsberg on the side and use Belushi’s to get in the right mood to party in Berlin. Daily between 17.00 and 22.00: 2 Carlsberg for the price of 1.